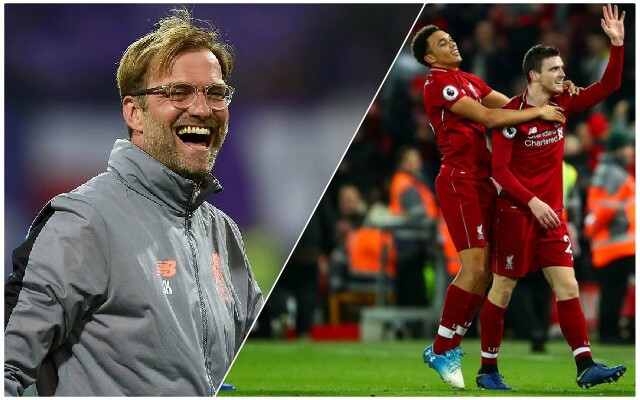 Liverpool fans – we’ve been given some outstanding injury news – finally! Yesterday, Trent Alexander-Arnold, Gini Wijnaldum and Jordan Henderson all trained fully with the first-team at Melwood – with a view to Saturday afternoon’s game with Bournemouth. The official website showed off the pictures last night, much to the glee of Reds everywhere. If the boys are in full training two day before a match, Jurgen Klopp usually is ok with picking them on game-day. We’ve badly missed Trent’s composure and ability to overlap and link up with Mo Salah at right-back, while the skipper and Gini should come back into the side in midfield. This will mean our starting XI to face Eddie Howe’s side is likely going to be much closer to our best team than it has in previous weeks. We’re still missing Joe Gomez, but the Englishman will hopefully be back at the end of the month, while Alex Oxlade-Chamberlain should also be in first-team consideration at some point in March.